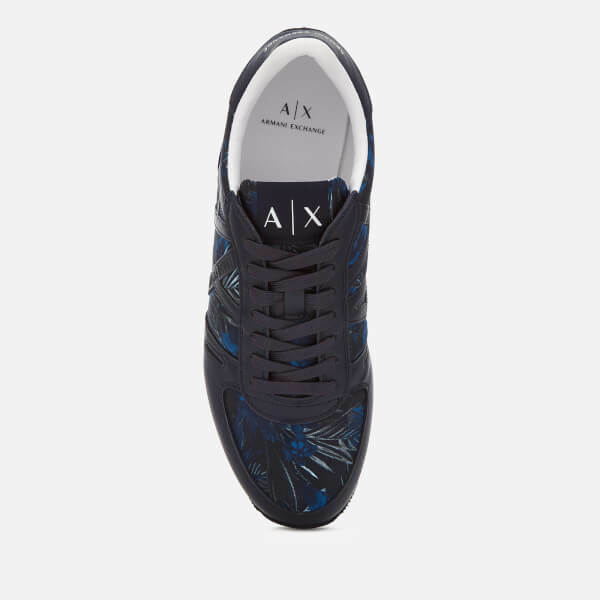 Men’s blue low top trainers from Armani Exchange. 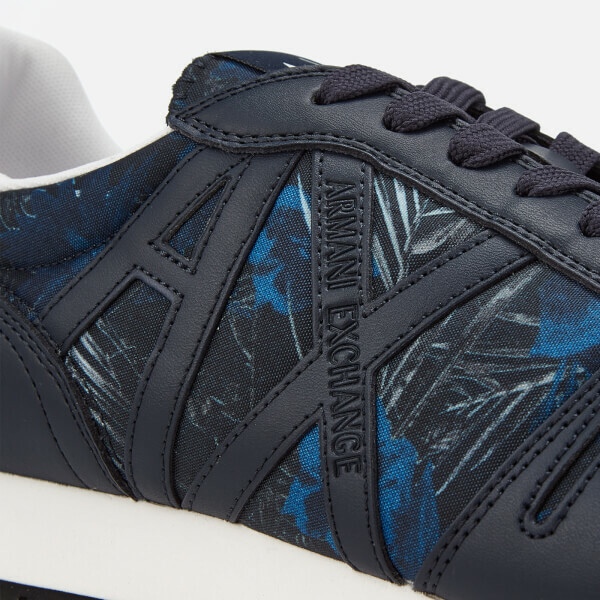 Constructed with floral print fabric uppers with faux leather accents, the sneakers feature a round toeline and a lace-up system with seven punched eyelets and flat laces. Set on a cleated rubber sole that provides optimal grip, the shoes are detailed with a padded collar for support and comfort. 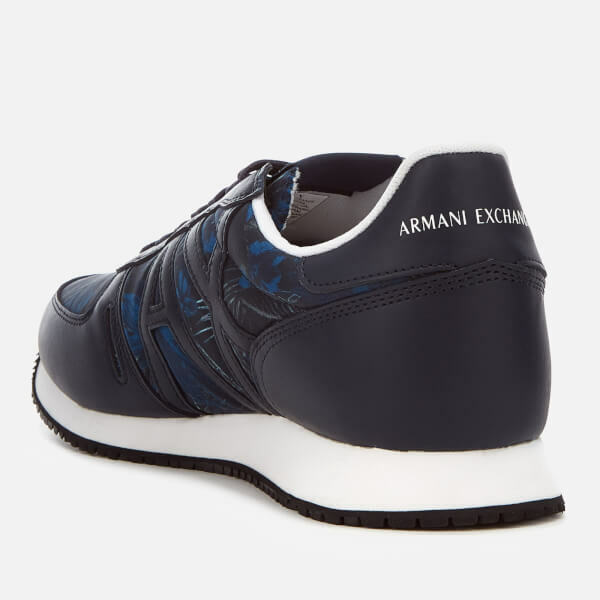 Complete with Armani Exchange branding at the heel cap and embossed to the outer foot. 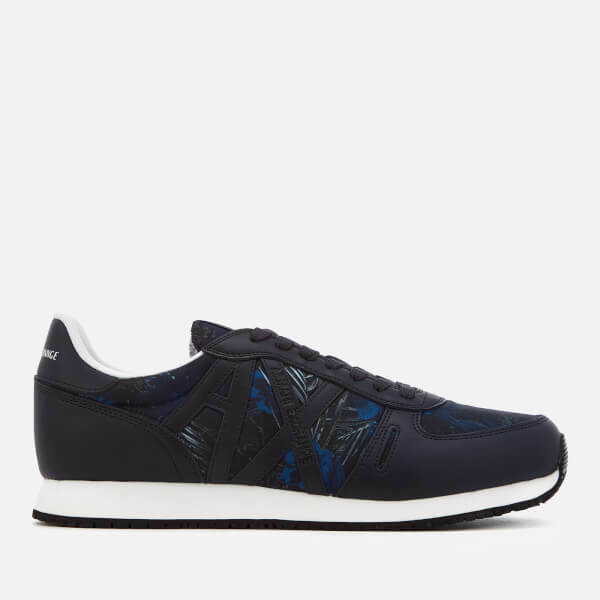 Upper: Textile/Faux Leather. Sole: Rubber.